Why Does a VoIP Line Show My Old Address? The good old days: You’d move, get a new phone number, and your utility records would show your correct address. Though it wasn’t necessarily ideal, address accuracy pretty much took care of itself. Today, we have VoIP and telephone number portability. Modern and convenient they may be, however, address changes no longer take care of themselves. For example, it’s not unusual to perform a reverse phone lookup and find an old address. Why is that? The problem has a lot to do with how Voice over Internet Protocol (VoIP) phone numbers work compared to traditional land lines. Rather than being physically installed at an address, VoIP phone numbers are virtual and routed over the Internet. As such, you can make and receive VoIP phone calls at your home, your office, or even a hotel room when traveling. When you move, simply plug in your VoIP device at the new home and you’re good to go. Say that’s all you do. Now perform a reverse phone lookup. Your VoIP line still shows your old address. Here’s the short answer: You forgot to tell your service provider that you have a new physical address. Since your VoIP line is not anchored to a single address or physical location, the phone service provider doesn’t automatically have a means of knowing the correct address. Most VoIP providers rely on their users to update their location information. This information isn’t just important for the sake of accurate reverse phone lookup data. It’s vital in terms of VoIP 911 service. After all, if your reverse phone lookup information shows your old address, emergency responders will be routed to your old address. Changing your physical address with most VoIP providers is usually a simple matter. If you’ve noticed that a reverse phone lookup has the wrong address, take matters into your own hands by updating your current address with your VoIP service provider. Because the onus is on customers to update their addresses when they move, VoIP lines are often considered unreliable when it comes to identifying where a caller is located. This leads to complications in Emergency Response Services and can sometimes be exploited by prisoners on parole, but those are topics for another time. 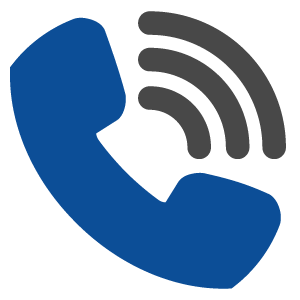 To learn more about Service Objects’ reverse phone lookup service for VoIP, wireless, landline VoIP and toll-free telephone numbers, click here! Or start a free trial today!